Recently I was listening to an episode of the Secret Cabal Gaming Podcast that explores how to plan and lead a role-playing game as a Game Moderator. The hosts explained in detail how to design an introductory role-playing game experience where your friends leave the party feeling like they want to return to that world, that objective and their characters that you set up for them. Basically, the hosts suggest, you want the players to have a stake in the game after their first time through. Fun in a role-playing game is most effectively experienced when the group takes ownership in the world, the characters and the objective. I can see parallels in learning. Learning is most effectively retained when the learner takes ownership of the lesson. This is partly why instruction booklets for board games are so important. Instructions should instruct. As they say, it takes ‘U’ and ‘I’ to spell instructions. I guess I’m saying it. It also takes ‘ructions’ to spell instructions. And it also takes ‘instru’. Instru is the root of ‘instrument’. Instructions share the same root as instruments. More on that in a later blog post! Oh yea. The instructions are important. In Queendomino, a 2-4 player competitive victory-point based tile-placement game, the instructions are put together with the understanding that people may not have played Kingdomino before. Attention to this detail is no surprise in a game by Bruno Cathala, one of the more prolific and lauded designers. Queendomino is a standalone game but variations of game play suggest Queendomino and Kingdomino can, ahem, be married for more playing options. Queendomino asks players to compete in amassing their own private kingdom by connecting tiles of the same colour or purchasing buildings. Different victory point advantages can be achieved depending on the tiles you choose to place, or the buildings you build. Cobble together advantages into a victory. While the tempo of game play feels quick- about 30 minutes- learning each of the symbols and figurines, and the advantages they provide, takes a few turns to get used to. Crowns mean more victory points. X’s mean more victory points. Knights mean more coins. Towers mean the Queen lives in your kingdom. If the Queen lives in your kingdom, you pay one less coin per building. These added layers of advantage and point getting betray the bright colour palette of Queendomino. Slight shade variations from Kingdomino, while retaining the matching ability of the 2 games’ tiles could have provided more of a visual reminder or warning that Queendomino is trickier, more complex, worthy of a different consideration and read than Kingdomino. Outside of my small hangup about colour shades or artwork that might denote greater strategy, Queendomino is a fun fast paced 2-4 player game, and as an expansion to Kingdomino can accommodate several more players, and playing variations. 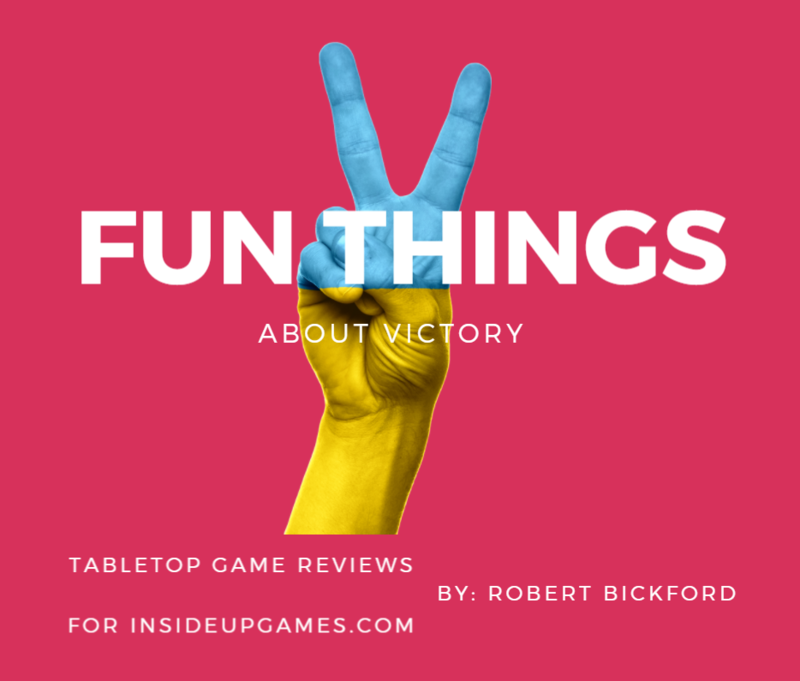 The fun thing about victory is that you count up your victory point numbers on a score sheet so this can make you feel extra smart and studious, an accomplishment in the medieval age to be sure. It’s like generating a flowchart for your smarts. A few crowns here, a couple ‘X’s there combined with multiple coins left over- my liege, this ledger indicates you are victorious! Lift the portcullis, your lordship, a Domino-inion needs your attention.